I came across these two refugees from my weekend work clearing out more shrubs from my overgrown borders. The beetle is a Vine Weevil (Otiorhynchus sulcatus, #451). Quite an impressive looking beetle, but also a devastating garden pest. The beetle’s larvae are the problem, as they eat the roots of plants over the autumn & winter, often killing them. This is especially the case for plants growing in containers. 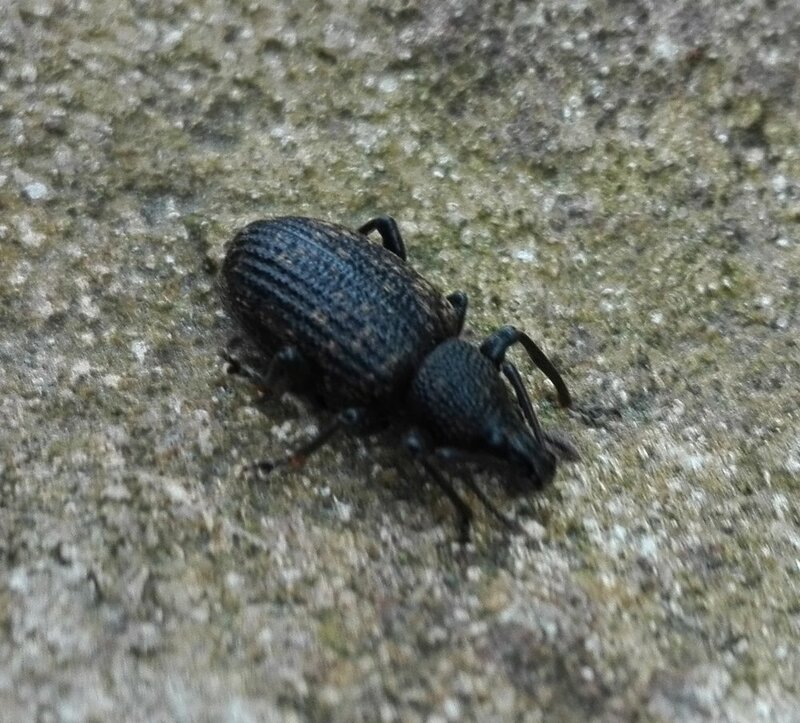 The RHS website (https://www.rhs.org.uk/advice/profile?pid=234 ) dedicates a page to advising how (at no small effort) to eradicate these weevils. Probably it was a mistake to release this candidate for gardeners public enemy #1 back into the wild. The spider, Clubiona terrestris (#446), is sac spider, so named because of the sac-like web it makes. Living in the leaf litter it seems more likely to be a gardeners friend. This family of spider has 8 eyes arranged in two rows on its face. As well as these new species for the list, I added a fly-over Mallard (Anas platyrhynchos, #450) and saw a very welcome first Swallow of the year over the village.